Wednesday night at 9.00pm CET, Espanyol host FC Barcelona in a Copa del Rey quarter final first leg for which Ernesto Valverde is going to have to make do without Andrés Iniesta, with a soleus injury in his right leg, and Javier Mascherano, with left thigh trouble. That’s in addition to the already injured Samuel Umtiti, Paco Alcácer, Philippe Coutinho and Ousmane Dembélé. New signing Yerry Mina, who still has paperwork to sort out before he is clear to play, and Gerard Deulofeu also miss out. 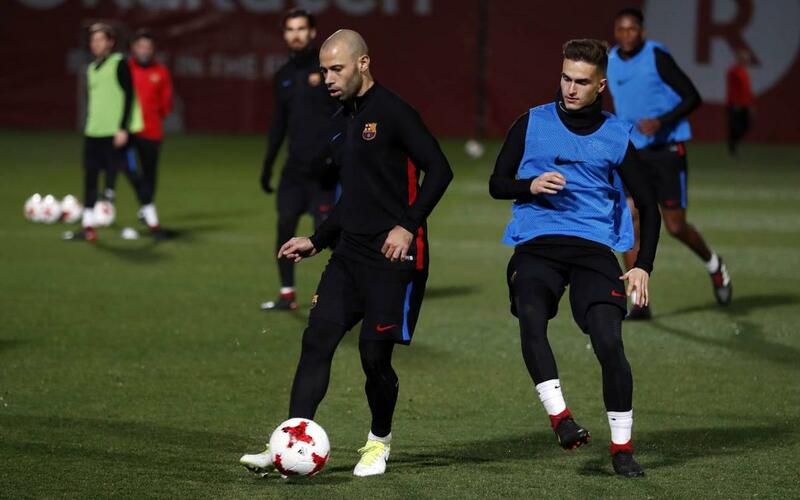 Goalkeeper Alberto Varo of the reserves also joined the first team for Tuesday’s training session on the Tito Vilanova field, the last before the latest edition of the oldest fixture in Spanish football.